Banging noisy pipes in the wall driving you crazy? Plumbing pipes can become noisy for a variation of reasons. It is important to determine exactly what is causing the noisy pipes in your plumbing system, and this can be determined in different ways, such as listening if the pipes bang, rattle, clatter or squeak. Whether you are hearing a hissing sound or a hammering sound, also referred to as Water Hammer, most of these noises are very easy to sort out. The first step is to listen to the actual sound coming from the noisy pipes, this will be a vital clue to what is causing the noise. Hot water pipes expand and when they cool down again, they contract, causing a creaking noise. You can remedy this by insulating the pipes, allowing them to cool off gradually. 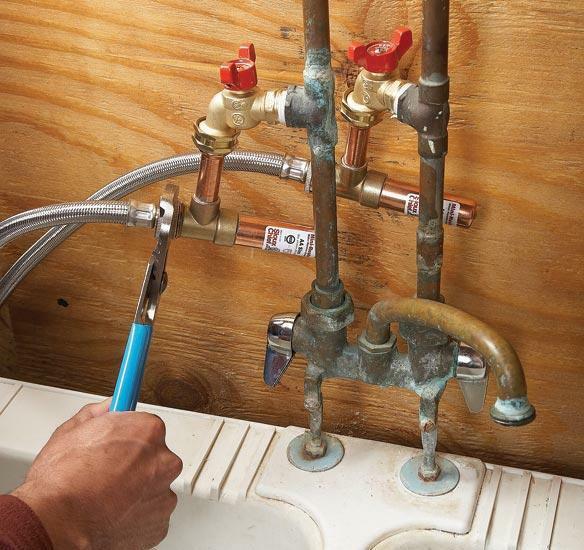 One of the most common causes of noisy pipes is water hammer. It is a loud banging noise, resembling a hammer knocking against the pipes. This is a water pressure issue and occurs usually when you turn off the water. This problem can actually damage the joint connections in the pipe. Shut off the main water, and open all the faucets in your home, draining the pipes. When done, close all the faucets and reopen the main valve. 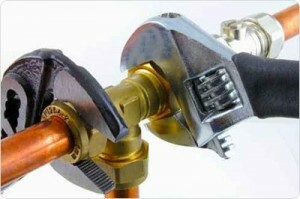 By doing this, air will be automatically replaced and this should remedy the banging of water hammer. Take note of when exactly the noises in the plumbing pipes occur. Does it occur when you shut off the water or while the water is running? This might indicate a loose pipe. Easy enough to fix! We are plumbers ready to assist you with 24 hour plumbing, give us a call to secure the pipe for you. Check the anchoring locations for the pipes. In older pipes, the anchors might become a little loose and need to be tightened. Check the air chambers behind the fixtures for buildup of water. The air acts as cushioning in these pipes and when these air pockets are filled with water, it creates a banging sound when you open and close the faucets. Tighten any loose mounting straps. They consist of plumbers tape (metal) and when these straps are not correctly tightened, they cause a vibration when the faucets are opened and closed. Check your water pressure; a too high water pressure could be another reason for noisy pipes. Contact us to check it for you or install a water pressure regulator for you to maintain a good water pressure. A too high water pressure can damage your household appliances. Normal water pressure should be between 400 – 600 kpa. Still not sure what is causing the banging and clanging? Contact us for a speedy & reliable diagnosis of the problem!